There are many uses for vodka this holiday season, beyond just a Moscow Mule. Today, in the spirit of the holiday season, let’s take vodka beyond the cocktail bar. Each year, I purchase a huge bottle of vodka to make homemade vanilla extract. My hand-crafted vanilla has become a very coveted Christmas present, and rightfully so. There’s nothing like homemade vanilla extract. Nothing! Let’s talk about one more beyond-the-bar way to use vodka. Vodka makes a fantastic base for a homemade air and linen freshener spray. Vodka acts like an emulsifier for fragrant essential oils, as well as offers some disinfecting properties. 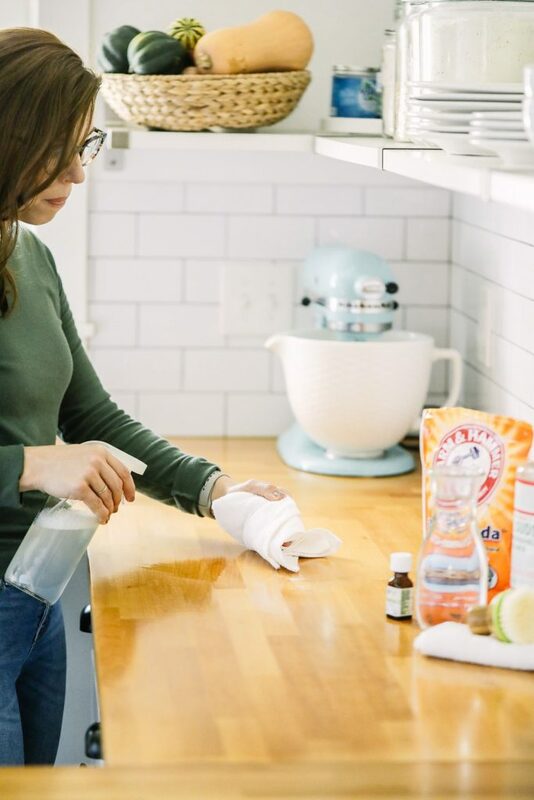 Vodka also dries quickly, which makes it perfect for spraying linens and surfaces. 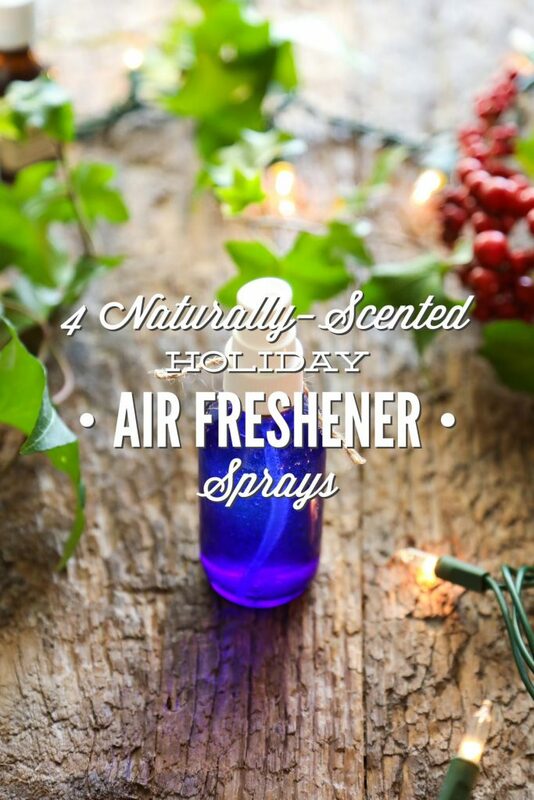 I know many of us love holiday scents (maybe all of us? 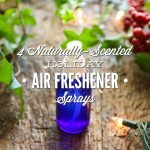 ), so, in preparation for the holiday season, I thought it would be fun to share a few naturally-scented air freshener sprays. 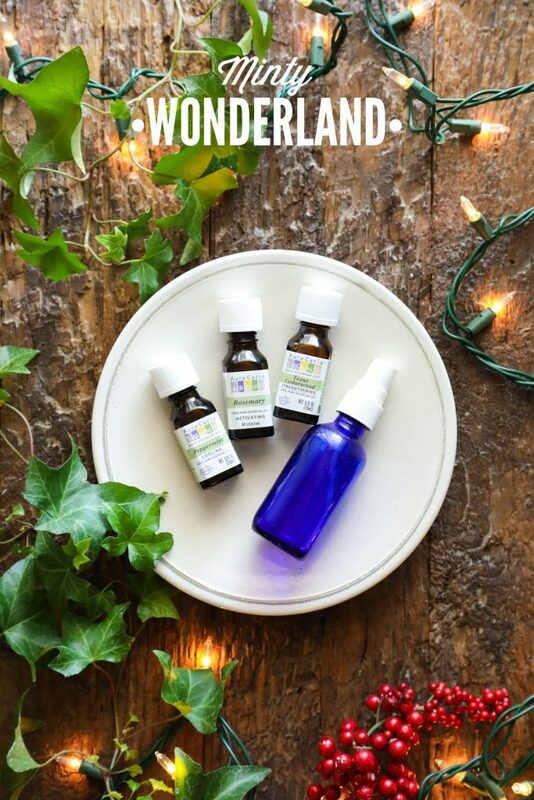 The sprays are incredibly easy to make and only require a few simple ingredients: essential oils, vodka, and water. 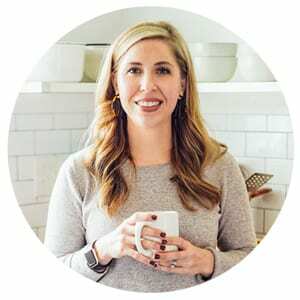 Speaking of the holidays, Live Simply is going to be quiet over the next week. The kids are out of school, so we’re planning to enjoy the next few days with them: roasting marshmallows, making homemade hot chocolate, snuggling on the couch until 11am, and enjoying a house that smells “like the holidays” (thanks to a homemade air freshener). 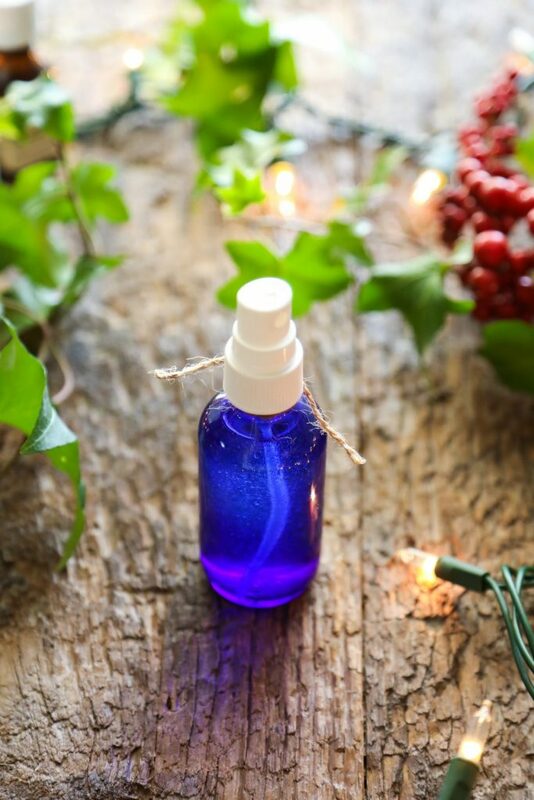 In a spray bottle (any size--2 ounces or larger), add the vodka and essential oil blend of choice. Place the cap back on the bottle, and shake the oils and vodka. Add the water and shake the bottle. To Use: This spray is multi-purpose, so it may be sprayed on most surfaces, including fabric and linens, and in the air. Shake the bottle before each use. 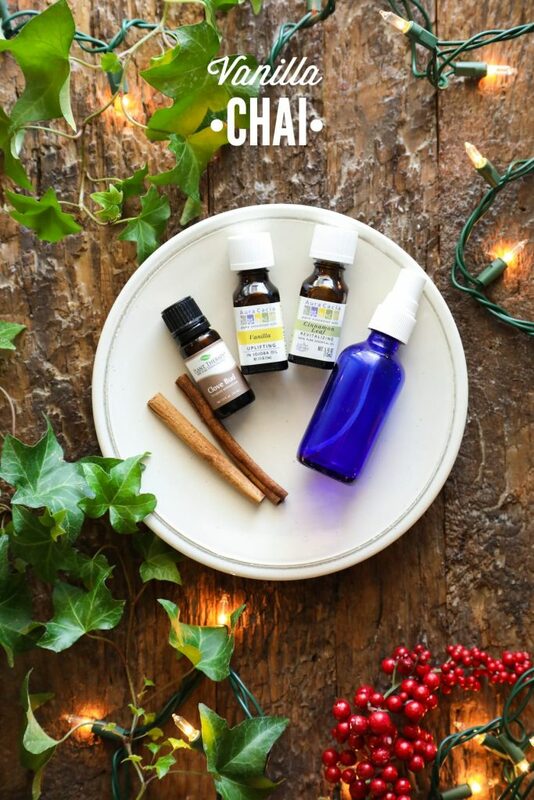 According to the National Association For Holistic Aromatherapy, the following formula is suitable for room sprays: 10-15 total drops of essential oils (total) per ounce of water. Based on this, the blends represented above may be increased if you’d like a stronger scent. 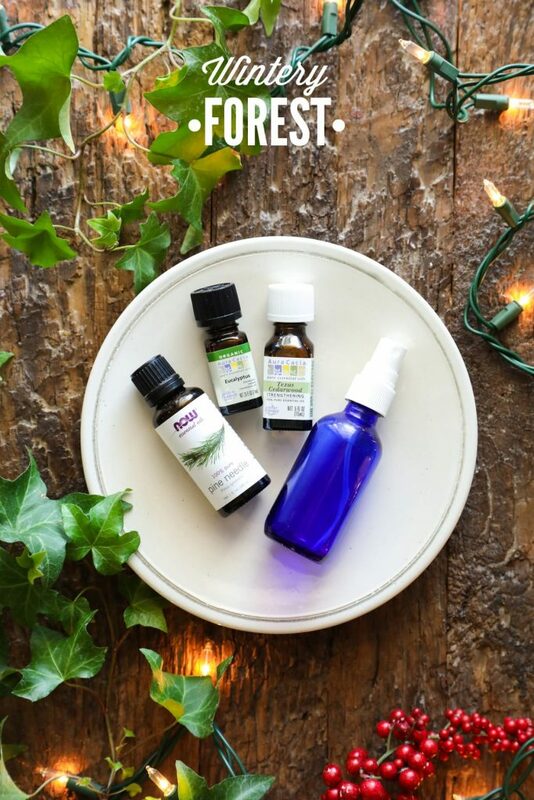 As always, do your own research with essential oils, since some essential oils may not be suitable to use around children or pregnant women. 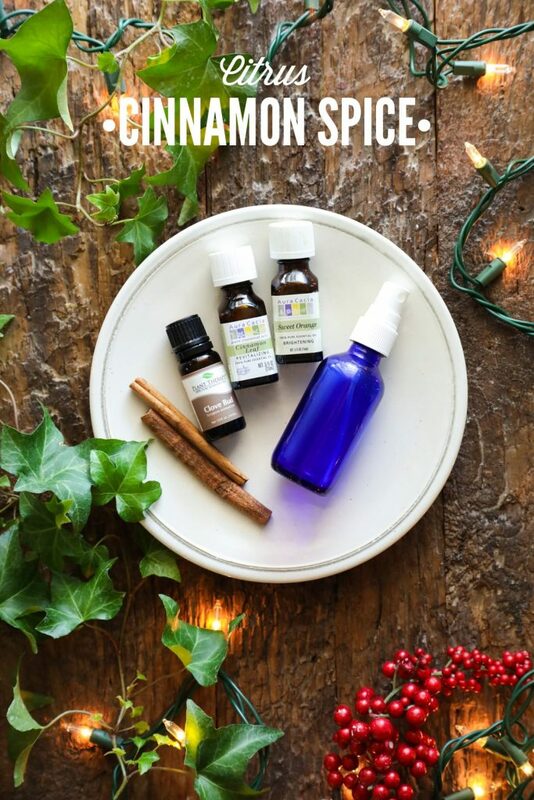 If you don’t want to make a room spray, the scent blends listed above also work very well in a diffuser. 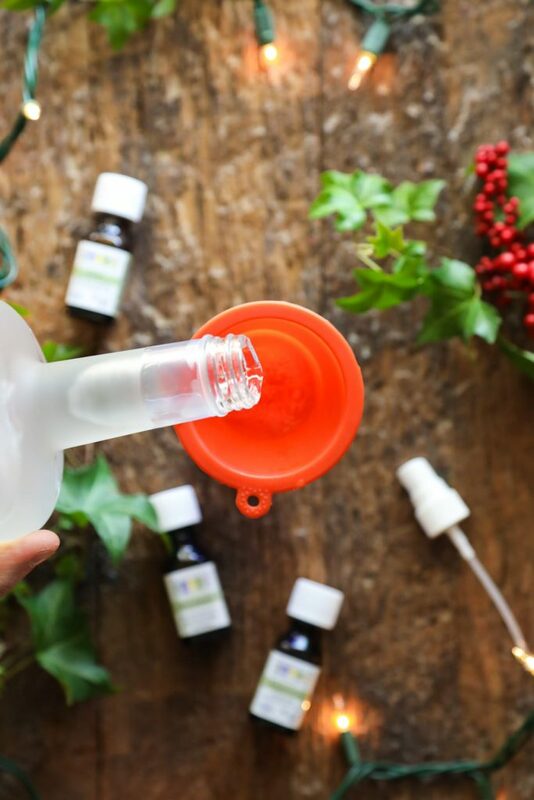 A diffuser works well for covering an entire room with natural fragrance versus just a small spritz of spray in the air. In case you’re curious ;), I love the Vanilla Chai scent blend. I was wondering on what would be the difference between using witch hazel and vodka? Hey Rachel, You won’t notice any difference :). Usually people will let the scents and vodka sit for a few weeks, right? Hey William, I haven’t noticed a difference in doing so.